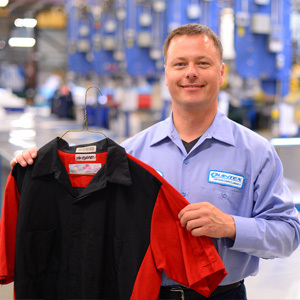 Renting uniforms, mats, linens or other facility service products for your business? Making you look good is our job - For more than a century, Manitobans have relied on Quintex to look their professional best. Today we help you project a positive impression of your brand with a full slate of image and business support services including uniforms, mats, linens, toweling and sanitary soap. While we offer customized programs to suit any business, the real secret to our success is our people. Friendly and dedicated, we’re committed to exceeding your expectations. First impressions are important. We’ll help you make a good one. 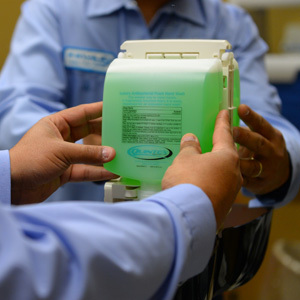 Whether we’re dropping off some freshly laundered uniforms, swapping out dirty mats for clean ones or making sure your first aid supplies are topped up, our number one objective is to make sure we’re always supplying you with exactly what you need. It’s a dirty job keeping any floor clean, and we love doing it! Keeping your interior floors clean and presentable year-round can be one of the most challenging jobs around. 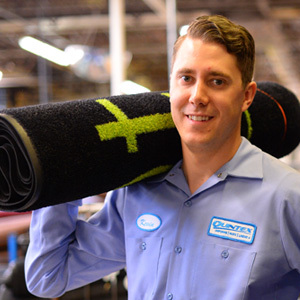 That’s why we offer our professional floor care services including rubberized mats and dry mops. You care about making a great impression, and we do too. If you’re in the hospitality industry, you know that presentation is everything. Why risk ruining first impressions for your guests with a poorly dressed table or bed resulting from stained or tattered linens? As a Quintex Hospitality Linens client we’ll deliver crisp, clean linen to your door protectively wrapped to ensure you achieve the premium look that your customers expect. Quintex Workwear - Quintex is more than rental!